Ginger is one of the most common ingredients in kombucha recipes and for good reason. Ginger adds a nice warm, snappy flavor to kombucha and ginger root aids in creating a fizzy brew. Ginger is also reported to have many health benefits. 11 Proven Health Benefits of Ginger. Also remember that kombucha makes ingredients more bioavailable to the body, so any health benefits will be increased. 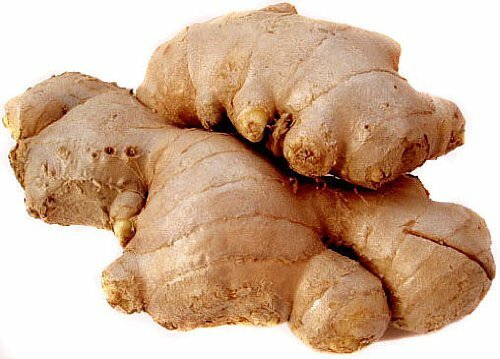 Fresh ginger root is only grown in India, China, Nepal, Indonesia and Thailand, so the ginger you are buying is always imported. Fresh ginger root should look fleshy and juicy. It should not look dried out. Also avoid roots that show grayish or blueish mold on the cut ends. 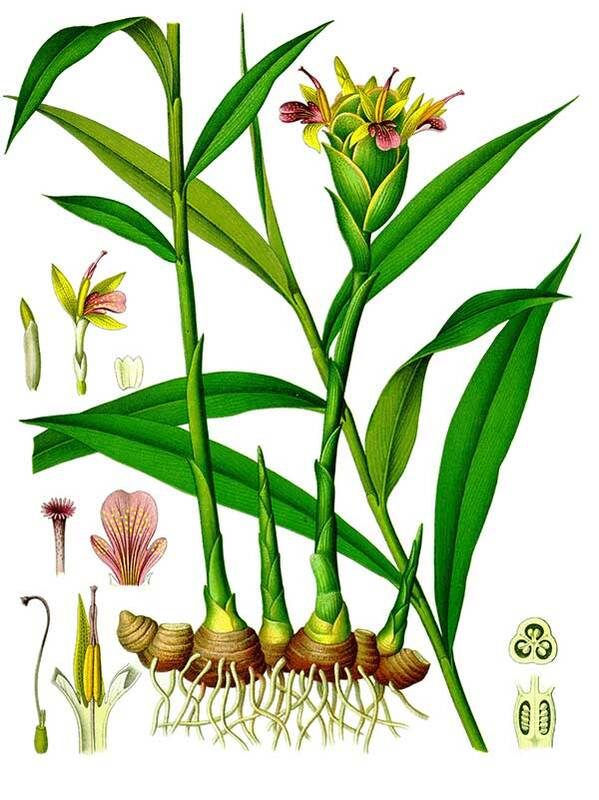 We find that the freshest ginger is often available in Asian markets. If you are lucky enough to have one in your area, try there first—the price is usually better too. Or, your local grocery stores may stock it. Finally, buying ginger root online is also an option. 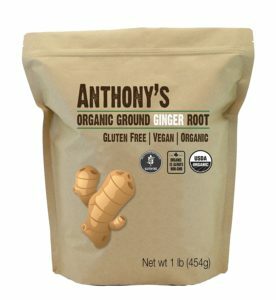 Amazon.com sells fresh ginger root and includes free shipping. Buyers give it 4.5 stars. When flavoring kombucha with ginger, or any other flavoring ingredient, remember that we are talking about fermentation two, in-bottle fermentation. Kombucha is flavored after the tea and sugar solution has already been brewed into kombucha by the SCOBY. 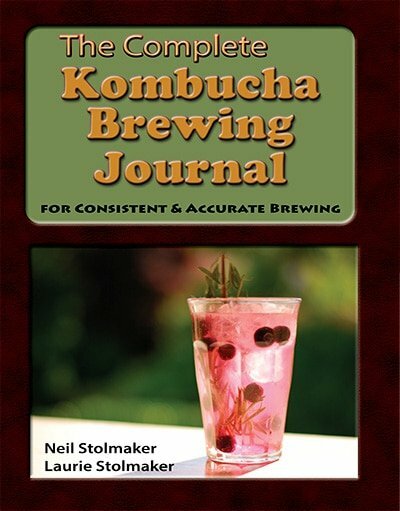 If this is unclear, please read The Basic Kombucha Brewing Recipe first. When using fresh ginger root in a ginger kombucha recipe, you have two options. You can peel the ginger or leave it unpeeled. Many brewers report that unpeeled ginger root adds more fizz to the finished kombucha. If using it unpeeled, make sure to scrub the root first with clean water to remove any dirt or pesticides. The choice of whether to peel it or not is yours. 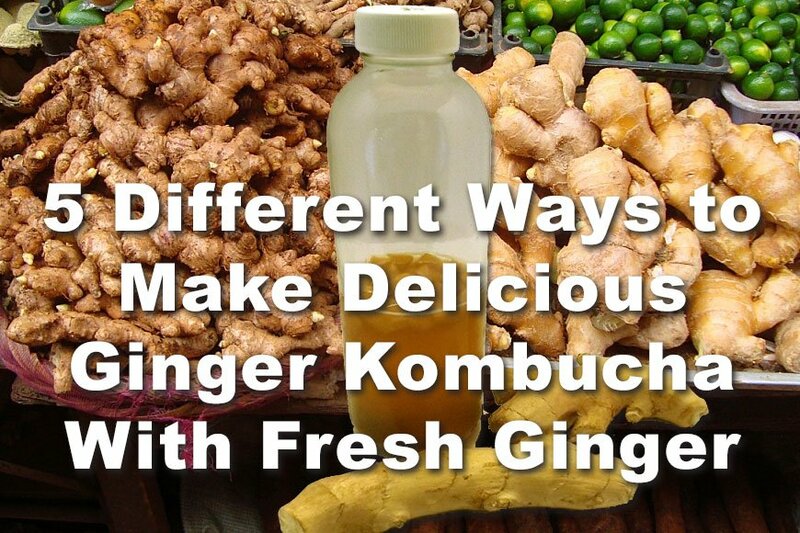 This is the quickest and easiest way to add fresh ginger root to your kombucha. Slice the ginger, peeled, or unpeeled into thin, round slices with a knife. 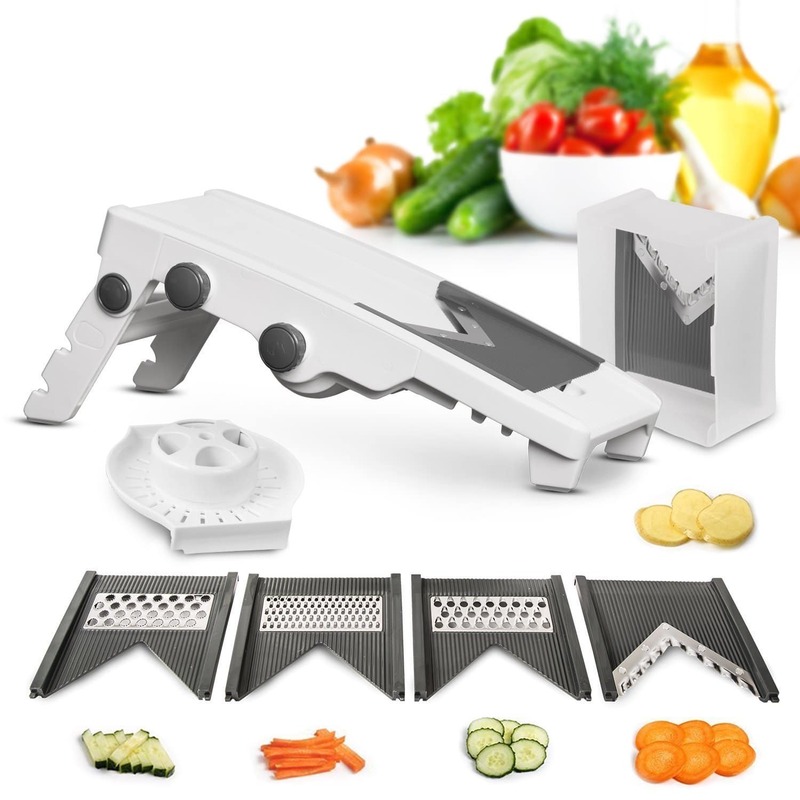 It’s even easier with a Mandoline Slicer like the Mueller Austria V-Pro 5 Blade Adjustable Mandoline Slicer. The thicker the width of the ginger root is, the larger the slices will be, but of course you can also slice them crosswise to make them into half moons. 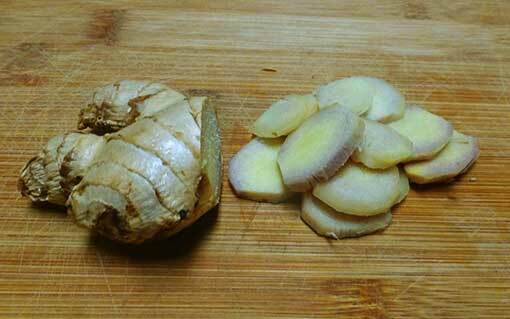 Sliced ginger works well in ginger kombucha recipes. The thinner the slices, the more ginger is exposed to the fermenting kombucha and the more ginger flavor. It can be difficult to add ginger slices to your kombucha bottles depending on the size of the opening. If so, any of the next ginger options will work better. Sliced ginger is easiest to remove from the flavored kombucha before drinking. The slices of ginger, preserved by the kombucha, are tasty to eat or add to Asian recipes. 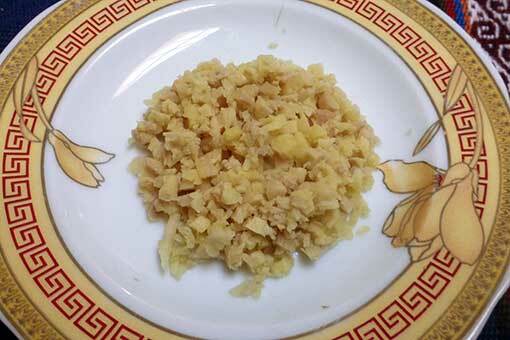 It is easy to chop fresh ginger with a knife and even easier in a food processor. Chopping ginger exposes more ginger surface to the kombucha brew, so will add more ginger flavor to the finished beverage. The finer the chop, the more flavor is extracted from the ginger root. Did you know there is a tool designed specifically to grate ginger? 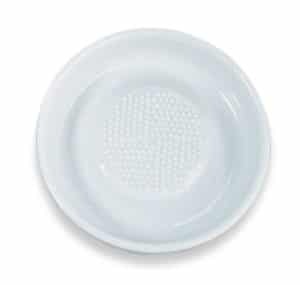 Kitchen gadgets like the Kyocera Advanced Ceramic 3-1/2-inch Ceramic Grater make fast and easy work of grating ginger (it also works for garlic, daikon radish and hard cheeses). Grated ginger provides heaps of ginger flavor to your kombucha recipe. It also adds lots of fizziness. It almost vanishes in the bottle as it is mostly dissolved by the kombucha. If you want the most ginger flavor from your fresh ginger root, ginger juice is the way to go! It also doesn’t leave any residue at all in the bottle and leaves your booch clear. You do need one additional kitchen gadget to make ginger juice—a nut milk bag. A nut milk bag is a fine mesh bag woven of nylon. It is good for lots of things in the kitchen and particularly helpful in kombucha brewing. 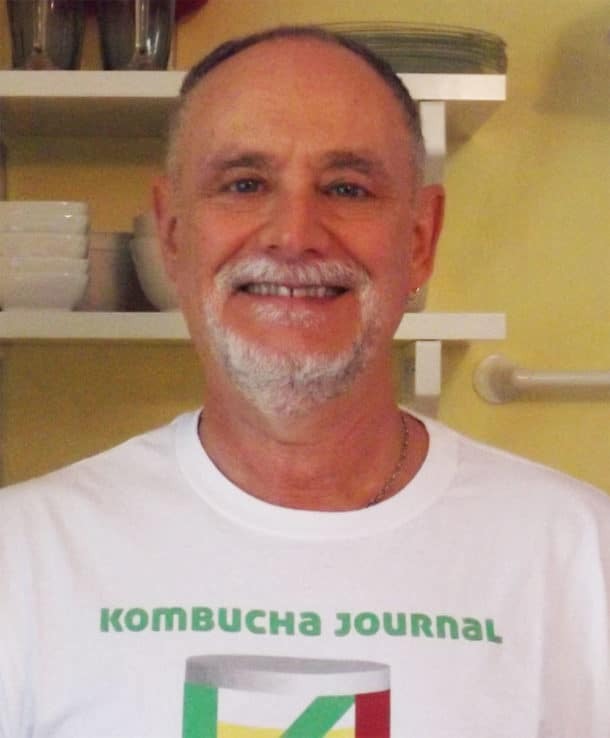 You can read more about them: How a Nut Milk Bag Makes the Best Kombucha Tea. To make ginger juice, you first pulverize the ginger root. You can do that in a food processor or using your ginger grater . Put the grated ginger into the nut milk bag and squeeze out the ginger juice. You will be amazed how much juice comes out this way! You can use ginger root powder to flavor your kombucha. It is readily available at your local grocery store or online. You want to be sure to buy an organic product from a reliable source. We prefer to use fresh ginger root whenever possible. But powdered ginger root will add a nice ginger taste to your kombucha. You may have to experiment to see how much to use as ginger in powdered form varies in strength. Making ginger kombucha is easy! There are only two steps. Step One: add your brewed kombucha to a 16-ounce bottle. Step Two: add ginger to each bottle. How much ginger you add to each bottle depends on which form of ginger you decide to use. The following chart will provide you with a starting point. Remember that however you use ginger in your recipe, more ginger will increase the spicy heat. Use too much and you may find it too strong for your taste. Too little ginger may make an anemic tasting brew. If you are familiar with Reed’s Ginger Beer (really soda), you may know that it comes in Original Ginger Brew, Extra Ginger Brew, And Stronger Ginger Brew. Obviously, many folks really like a strong ginger flavor! Like all recipes, it pays to experiment. We always take the time to write down the amount of each ingredient in our recipes so that we can tailor the flavor to our own taste the next time. Have you made Ginger Kombucha? What form of ginger do you use? Please add to the discussion.